Aguila's Silver Eagle is engineered to eradicate varmints and offers a lethal combination of speed and accuracy. It's the ideal round for showing pests who's boss. 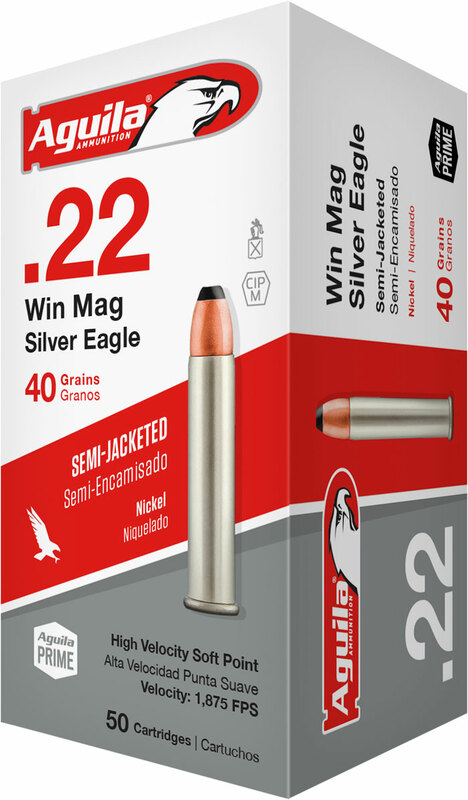 his .22 Winchester Magnum Rimfire ammunition has a semi-jacketed soft point bullet and comes packaged in 50 per box, 20 per case.